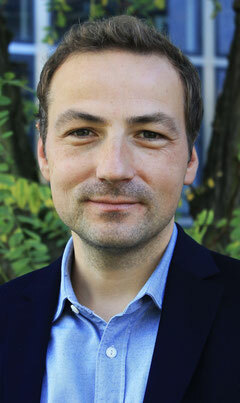 Simon Koschut is currently a Heisenberg Fellow at the Otto Suhr Institute at the Freie Universität Berlin, Germany. His research interests include Security Studies, Peace and Conflict Studies, and International Relations theory, in particular regional security governance, norm research in International Relations, and emotions in world politics. His book Normative Change and Security Community Disintegration (Palgrave Macmillan 2016) received the Ernst Otto Czempiel Award for the best postdoctoral monograph published in the field of peace research. Other work has appeared in journals such as Review of International Studies, International Studies Review, Millennium, and Cooperation and Conflict. In 2015, he won the Best Paper Award of the German International Relations Section. He is the lead editor of the book series "Critical Emotion Research" (Brill). Together with Christian von Scheve, he co-edits the book series "Emotionen in Politik und Gesellschaft" (Nomos). Simon has held visiting positions at Harvard University's Weatherhead Center for International Affairs, San Fransisco State University, and Freie Universität Berlin. He completed his PhD and his Habilitation in Political Science at the University of Potsdam. Simon serves as a spokesperson of the DVPW theme group "Norm Research in IR". He is liaison lecturer (Vertrauensdozent) of the Friedrich Ebert Foundation, a member of of the selection committee of the Fulbright Commission, and a member of the academic advisory board of the Cologne Forum for International Relations and Security Policy. On March 27, I presented my paper "Emotions, History, and International Relations" at the ISA Annual Convention in Toronto. Two new journal articles are out in the Journal of International Political Theory on the political contestation of emotional meanings and Politics and Governance (open access) on emotion and method, respectively. My book Normative Change and Security Community Disintegration (Palgrave Macmillan 2016) is now out in paperback. On January 15, I talked about the possible disintegration of NATO at the Technical University Kaiserslautern. I presented my paper "Emotions, History, and International Relations" at the annual workshops organized by the BISA Historical Sociology and IR Working Group on December 7 at Sussex University and by the BISA Emotions in Politics and IR Working Group on December 17 at Aston University, respectively. On November 22-23, I participated in a workshop on security communities, organized by the VITRI Violence, Trauma and Justice Project at Charles University Prague. My book Normative Change and Security Community Disintegration (Palgrave Macmillan 2016) received the Ernst Otto Czempiel Award for the best postdoctoral monograph published in the field of peace research. I was awarded with a Heisenberg fellowship by the German Research Council (DFG) to lead a research project on "Emotional Communities in World Politics"